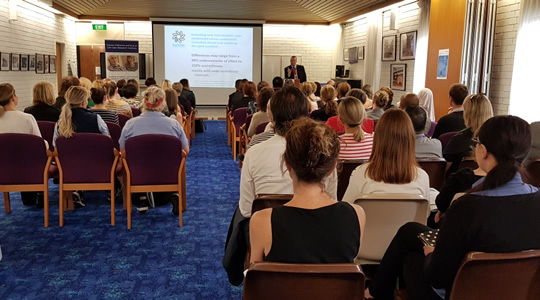 Calvary Health Care Kogarah (CHCK) Research Centre has a staff of 7 and includes a Professor of Palliative Care, clinical trials nurse, PhD students, a clinical research fellow, a palliative care consultant and a senior research officer. We are also supported by a volunteer whose assistance is invaluable. CHCK is participating in important studies that are being run across Australia. 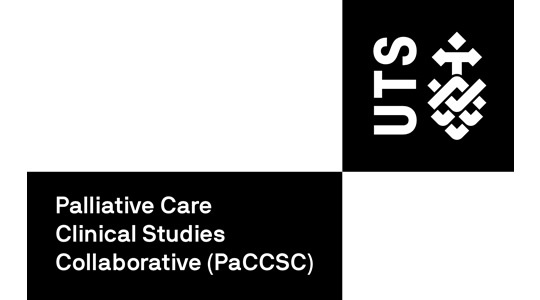 These collaborations include the Palliative Care Clinical Studies Collaborative (PaCCSC), the former Improving Palliative Care through Clinical Trials (IMPACCT – NSW), and the Psycho Oncology Co-Operative Group (PoCoG). Some of the projects have been funded by the Department of Health and Ageing, NSW Ministry of Health, National Health and Medical Research Council, Cancer Institute NSW and Cancer Australia and include clinical studies of medications used for pain, delirium, bowel obstruction and for breathing difficulty. Psycho-social studies have included a study of how patients cope with the uncertainty of living with a terminal illness; assisting couples communicate about end of life issues; unmet needs of patients with high grade brain tumours; how family meetings with the palliative care team affect patients’ and families’ experience of decision-making during their time in palliative care; understanding the journey of patients from culturally and linguistically diverse communities; sleep among caregivers of patients in palliative care and a study exploring carers’ experience of the death; the support they received and their grief and coping over the first two years of bereavement. 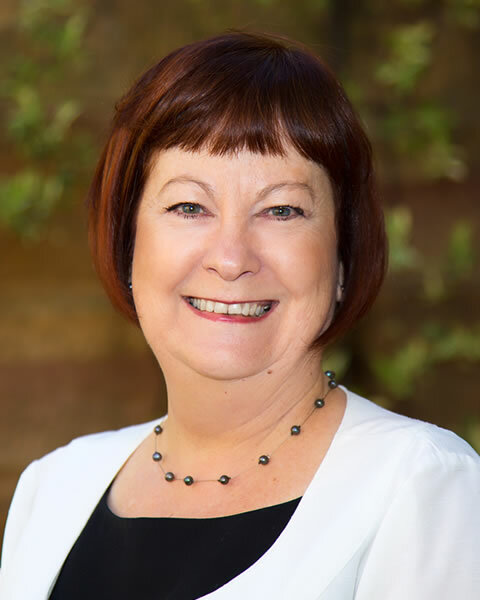 Liz Lobb is Professor of Palliative Care (Allied Health) based at Calvary Health Care Kogarah, and is an Adjunct Professor in the Faculty of Medicine at the University of Notre Dame, Sydney. Professor Lobb obtained her PhD in Psychological Medicine from the Faculty of Medicine at the University of Sydney in 2001. She has worked clinically as a bereavement counsellor and educator for 24 years. In addition, as a behavioural scientist, Liz has worked in psycho-oncology and palliative care research for 21 years. She has established national and international research collaborations and pursued independent multi-disciplinary clinical collaborations in oncology, haematology, cancer genetics and palliative care. 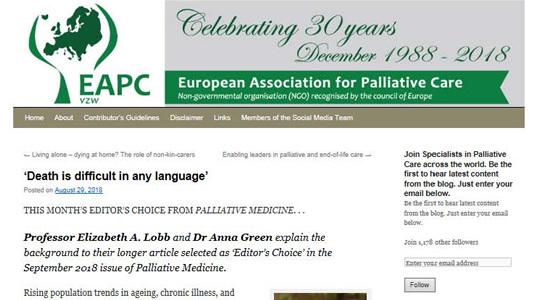 Professor Lobb’s passion for palliative care and end of life research is motivated by a desire to provide enhanced evidence-based communication and psycho-social care across the cancer continuum from diagnosis, through treatment, remission and survivorship or relapse, palliative care and bereavement support for families and caregivers. Translating the Palliative and End of Life Care Blueprint into practice in a specialist palliative care unit: a pilot study using patient reported outcomes. Lobb, E.A., Graham, J., Lau, M., Davis J. M.
Light in the Darkness – Information and Resources for Palliative Care Cancer Patients and Their Families with Chinese Background. Man, S., Graham, J. A pilot study of the implementation of a palliative care medical consultative service into Residential Aged Care Facilities in South Eastern Sydney Local Health District. Davis, JM, Lobb, E.A., Graham, J.
Identifying barriers to access to palliative care services at Calvary Health Care Kogarah by Culturally and Linguistically Diverse (CALD) communities. Lobb, EA, Green, M., Ellis, J.